Enjoy the energy along the shore at Cleveland’s lakefront. North Coast Harbor is where the city meets the lake in Downtown Cleveland. Visitors, professionals, and residents enjoy panoramic urban skylines connecting the water with open green spaces. The district is home to world-class venues, including the Rock and Roll Hall of Fame and Museum, the Great Lakes Science Center, and FirstEnergy Stadium — home of the Cleveland Browns. These unique places sit alongside public spaces such as Voinovich Bicentennial Park, and local institutions like the Goodtime III. Together, the waterfront vista and the endless activities set the stage for memorable events and everyday fun. North Coast Harbor is a must-see destination – equally so for locals attending a Browns game and out-of-towners seeking a world-class museum experience. For residents and local businesses, the district represents an escape from everyday life, a place to enjoy summer food truck and yoga events, or simply to take a deep breath and relax as the sun sets over the waterfront horizon. Uniquely situated at the city’s front door – this district has a feeling all its own, where the energy of the cityscape meets the tranquil waters of Lake Erie. This energy will build this year as the City of Cleveland is planning to invest in district improvements and amenities that will enhance accessibility and elevate visitor experiences. 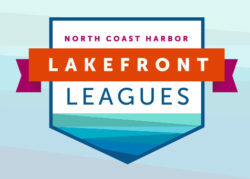 What will you do at North Coast Harbor? Read on to learn more about seasonal activities and special events. Follow us on Facebook and Twitter for up-to-date information on the many new developments happening in the district this year! The City of Cleveland & Downtown Cleveland Alliance: The mission of the Downtown Cleveland Alliance in relation to the North Coast Harbor is to create a dynamic waterfront that engages, enlightens & entertains Cleveland residents and visitors. In 2013, a contract was signed between the City of Cleveland’s Department of Port Control and Downtown Cleveland Alliance to take over the Common Area Maintenance Agreement (CAM) for North Coast Harbor. The contract outlined that Downtown Cleveland Alliance would provide professional service in regards to property maintenance, management and event planning services at North Coast Harbor.